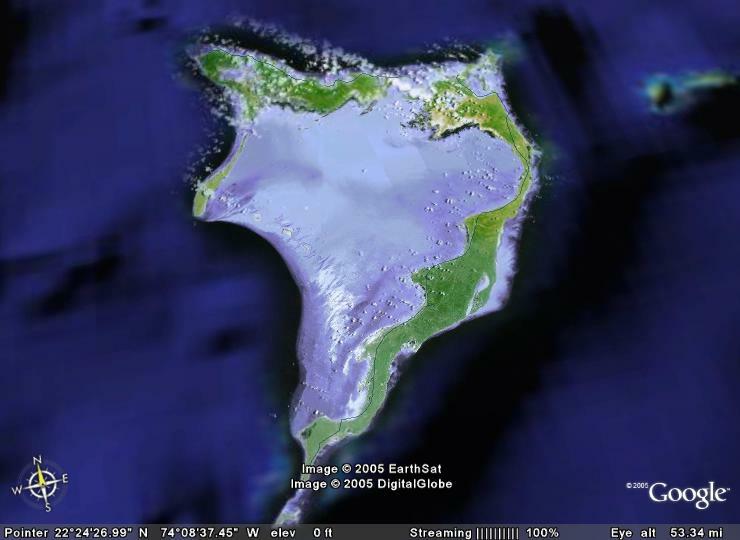 For two years we explored Acklins Island from a live-aboard mothership. 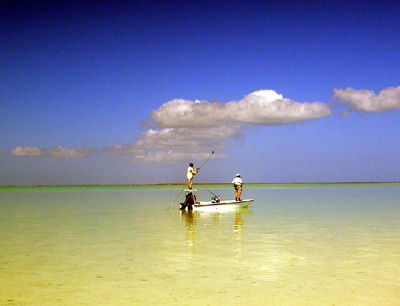 Adventuresome anglers, some fueled by rumors, others by a willingness to trust our reports, experienced angling of which others could only dream... “fifty fish days”... “two hundred bonefish for the week”... “My best bonefish trip ever” were some of the comments we heard from returning anglers. We knew they were not exaggerating; we had made some of these same comments ourselves after our early trips. Unfortunately, our catamaran captain called it quits citing logistical complications and quite simply, loneliness. We understood and wished him well, but we weren’t quite ready to give up on this incredible fishery. In the spring of 1996, fresh from a wonderful week aboard the catamaran, we met a local family that was renovating a small guest house on the north end of the island. 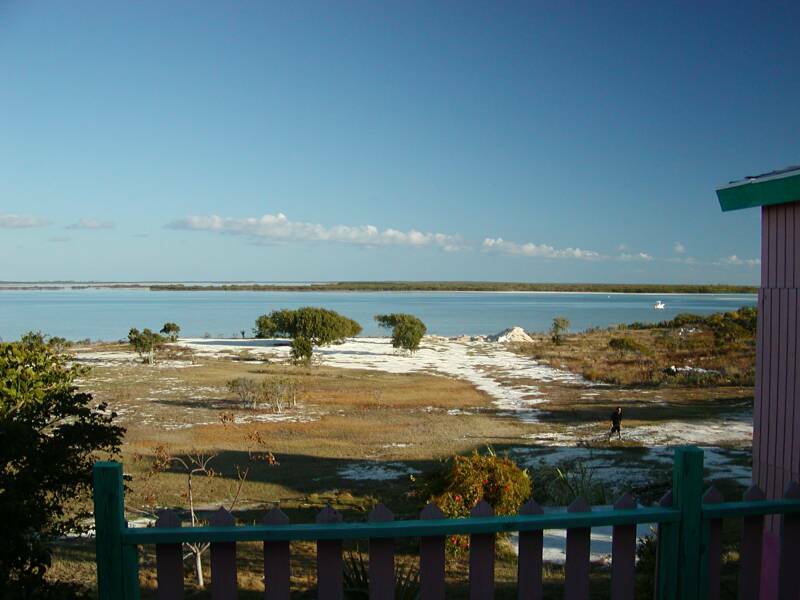 The guest house sat on a hill with a commanding view of Relief Bay to the west and Gordon’s Bay to the east - both of which are large bonefish flats. We knew the difficulties they would encounter and wondered whether their plans would fizzle or come to fruition. But by the early winter of 1997 they called to report “The guesthouse is renovated, new boats and motors have arrived and now we’re training guides.” This news of course, merited investigation. 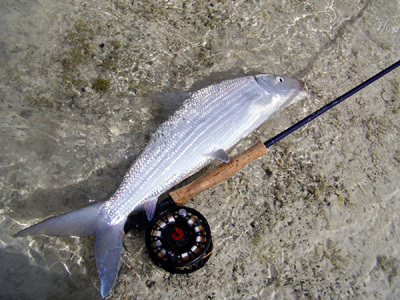 But we were skeptical because over the years, we have visited many out-island bonefish operations. At times, it seemed like every Bahamian businessman wanted to build and operate a bonefish lodge. Yes, the bonefishing was usually great, but it takes motivation, money and savvy to build and operate a first rate lodge. In the Bahamas, these assets often seem in short supply. As a result, we have discovered a few jewels and rejected many questionable operators. We wondered in which category Grey’s Point would end up. After investigating all the details of this new inn, we began to send the Williamsons adventuresome anglers who accepted the spartan accommodatios in exchange for truly unfished flats. 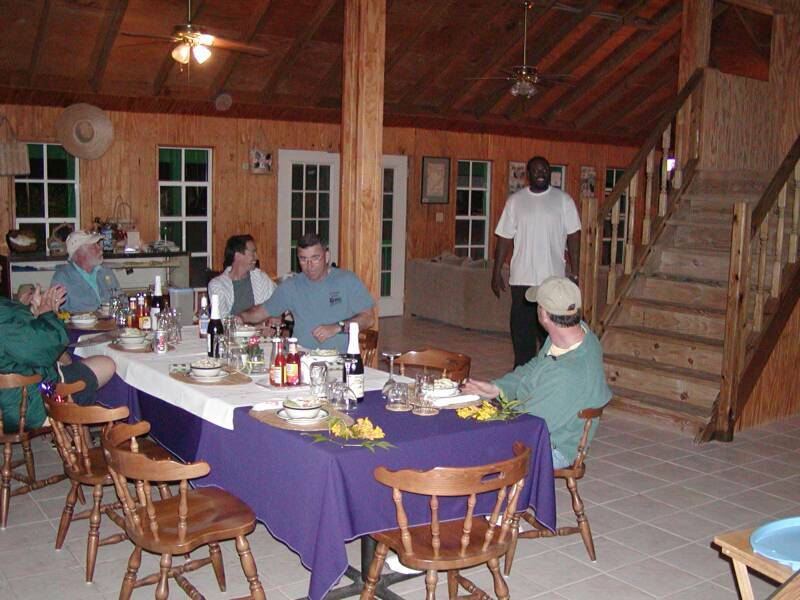 The reports filtered back and anglers told us that the fishing was often great, the flats immense and the bonefish very uneducated, but that the lodge was a bit rustic and the AC spotty. Remembering those humble first seasons, we are now amazed by the fortitude shown and progress made by Newton and his family given the logistical difficulties they have had to overcome. The Williamsons have recently completed a beautiful new lodge facility complete with a spacious dining room and bar. The new guestrooms are air-conditioned, overlook the flats and each has it’s own attached bathroom. Fresh water is ingeniously piped in from a local spring so hot showers are no problem. Grey’s Point has become quite nice by American standards yet still retains the classic Bahamian charm absent in many other locations. Each day your guide will take you to one of a hundred different flats where Mother Nature will provide some of the finest wade fishing you can imagine. There are generally large numbers of fish available with the average fish being around 3 pounds. It is not uncommon to catch 5-6 pound fish and you will see double digit monsters as singles on the edges nearer deeper water.. Many of our clients have caught double digit fish at Acklins, including one 13.2 pound bonezilla a few years ago. 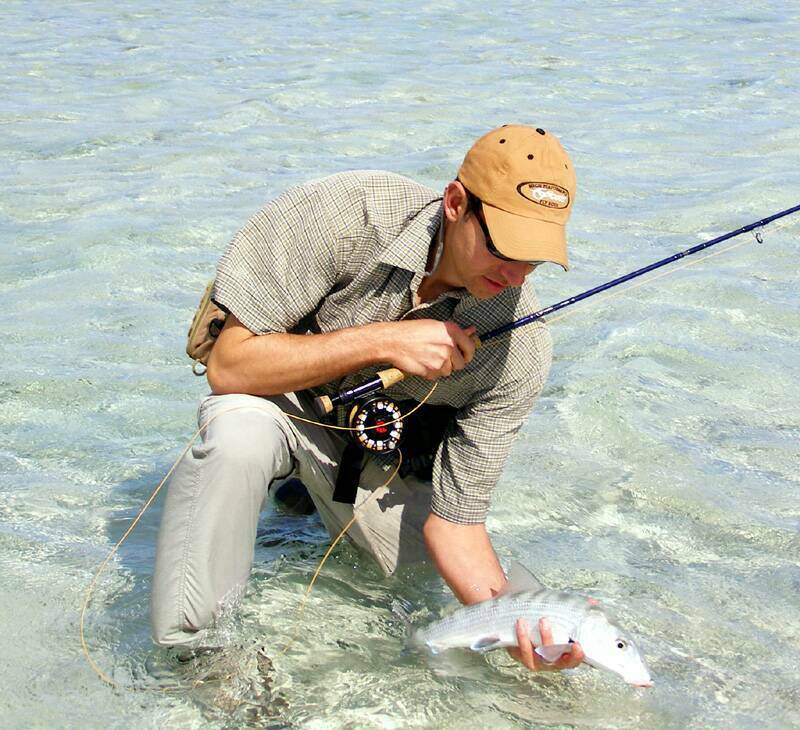 In addition to the outstanding bonefishing opportunities, there is a realistic chance to see and catch permit. Permit fishing is a tricky business and Acklins is no exception to that rule. However, Acklins is one of the few Bahamian destinations where we always keep a rod rigged with a crab waiting for that special moment when tides and good fortune cross. In addition, there are healthy populations of large barracuda, jacks, snapper and grouper to keep thing interesting. This past year, the Williamsons purchased a new center console boat. You can now probe for pelagic fish along the fantastic bluewater edge that runs down the outer reef only a half mile off the lodge’s doorstep. If you needed yet another reason to visit Grey’s Point, there are two canoes available to access the outstanding fishing on the extensive flats system that begins within a few hundred yards of the lodge. 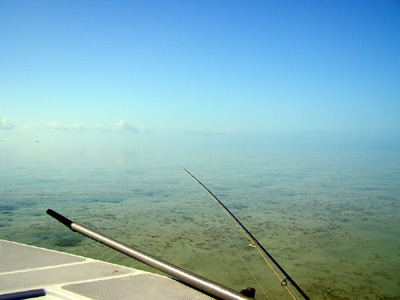 If you want to fish before or after your guide day there is no better location in the Bahamas. Garron Williamson is the inn’s operations manager. Garron’s has an ability to find quality fishing at all tidal stages and over the years has worked hard to train an appropriate guide staff on what is a very remote island. The guides at Grey’s Point are completely familiar with all of the flats and can consistently produce fish. But it must be remembered by anglers contemplating a visit to this remote corner of the Bahamas that the guides on Acklins are not like those on Andros or Abaco. There is no tradition of guiding on the island. There is a small labor pool from which to draw guides and these out-island guides are sometimes more relaxed and less “Type-A” than some of us might wish or expect. Anglers are well-advised to understand this before they choose Acklins Island. As more fishing pressure is put on the well-traveled destinations, Grey’s Point becomes a wonderful escape to a friendly, family run lodge that has some of the most beautiful flats in all the Bahamas. Grey’s Point Bonefish Inn is a very comfortable place with a wonderful Bahamian charm and a world class bonefishery as an added bonus. If you’re looking for a great fishery a bit off the path of most other anglers, this destination should be considered seriously. 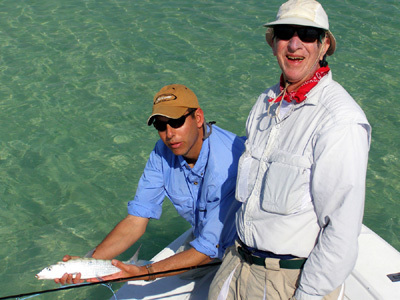 But please remember, if you are considering a visit to Grey's Point Bonefish Inn, anglers are advised to bring an adventuresome spirit and a relaxed attitude along with their fishing gear. Grey’s Point has a limited capacity of six anglers, therefore booking early is a must. There are only two flights on Bahamasair into Acklins Island each week. These flights are on Wednesday and Saturday. Three-day trips run Saturday to Wednesday, and six-day trips run Saturday to Saturday. The flights to and from Acklins Island do not always run exactly on schedule. Please leave plenty of time between connections, especially on your return flight. 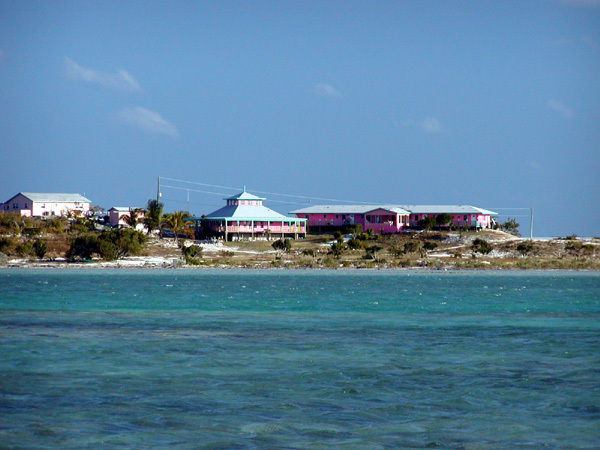 The Bahamasair flight lands both at Colonel Hill on Crooked Island and at Spring Point on Acklins Island. Make sure you are booked into Spring Point and that you exit the plane on Acklins Island and not Crooked Island. Also, listen closely to the flight announcements while in Nassau. Bahamasair often announces Crooked Island but not Acklins Island. Beer and some liquor is available on the island. If you want a specific brand or blend, it is best to bring it with you. There is no tackle available on the island; make sure you bring everything you need. This is a very remote area and although every effort is made to provide all amenities and services, we urge you to bring a flexible attitude along with your gear.